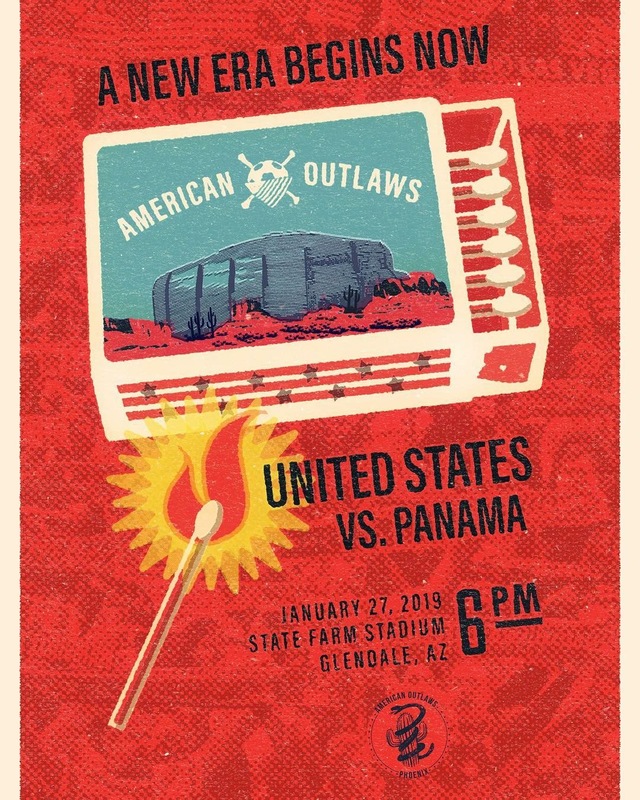 As the USMNT prepares for yet another January camp, there is one big difference from past iterations – they have traded Carson, CA as their home base for Chula Vista, CA, a 120-mile move down the California coast in which they will give up some of the best tacos you can find for a massive upgrade in burritos. Oh, they also have a new manager. Gregg Berhalter, the 14-month coach-in-waiting, officially has the job and this January camp will be the first time he gets to actually, you know, manage the team. He’ll have a training camp followed by friendlies against Panama (January 27 in Glendale, AZ) and Costa Rica (February 2 in San Jose, CA) to start shaping the Yanks for next year’s Gold Cup and then World Cup qualifying as he tries to restore, well, everything, to a team that has spent much of the last year spinning in circles. So the Gold Cup. And World Cup qualifying. And *please at this point pray to the god of your choice or send whatever good thoughts you have in the right direction* a road that leads to the 2022 World Cup begins now. In Chula Vista, then Glendale, then San Jose. With Gregg Berhalter (and hopefully you). 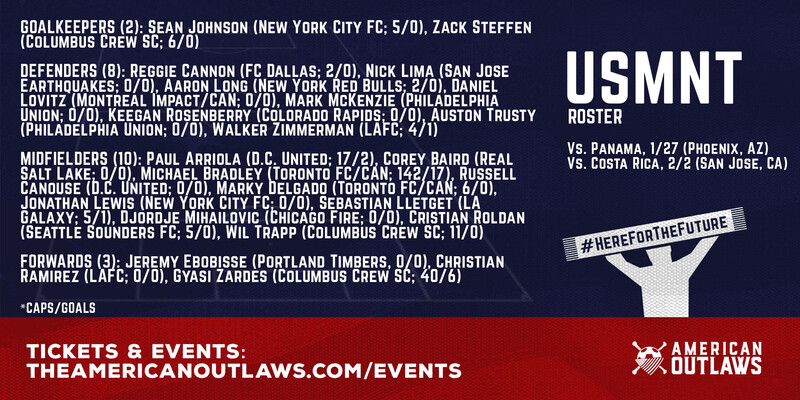 The U.S. will have to do it without Christian Pulisic, though. And Tyler Adams, Weston McKennie, Tim Weah, John Brooks, DeAndre Yedlin or anyone else who plays their club soccer outside of MLS. Because these matches do not fall on a FIFA international date, clubs do not have to release players to play for their national teams so those players will be playing for Borussia Dortmund (and maybe somewhere else by February), Red Bull Leipzig, Schalke and the rest of their teams. As a result, it’s tough to judge January friendlies. It’s not the Americans’ best team, or close to it. The priority isn’t winning and much of the important work happens in training, not the matches. But don’t let that fool you into thinking that this first gathering of the Gregg Berhalter era isn’t important. January camp is, historically, when a couple young players make their breakthrough and push their way into the full national team. Matt Besler, Geoff Cameron and Yedlin are all among those who got their first looks with the Yanks during January camp, laying their claim to consistent places in the team that took them to World Cups, and Sacha Kljestan turned a January camp hat trick performance into a starring role one month later in a World Cup qualifying win over Mexico. While it’s never clear in the moment what importance each January camp will take on for the future of the national team, you can always look back on it and see wins over Mexico, Gold Cup titles and World Cup triumphs that were born in that month. Of course, this January camp will be even cloudier than normal. Such is the nature of having a new manager. We can guess what system Berhalter wants to implement, but that will change over the next three years as talent and opponent dictates. Exactly what his player pool is, which players he trusts and what roles he’s looking for players to fill in January camp, well, to put it bluntly – we have no damn idea and anyone who tries to tell you otherwise is lying. But in the giant cloud of mystery is plenty of opportunity. Because Berhalter is a new manager, there is going to be more turnover in the program that normal. And because the USMNT has so much work to do, pushing out some of the older players and bringing through a new crop of young players more talented than any American generation before, there are more open places and chances for players than there has been in years. The players come to January camp with a giant door open to them and a full national team that is just begging them to prove they are worthy. Every day of training is another opportunity. Every match is a chance to stake their claim. Every pass, shot, tackle and save is part of the rebuilding of a once-proud national team. It all starts in January camp. A new era begins here. And we may not know what we’re looking for now, but when the history of the USMNT and their rise from the ashes is written, it will begin right now.